I’m back with another layout inspired by Big Picture Classes. Ashley Horton teaches a class, Old Favorites with a New Twist, and one of the classes is shaped photos. In the class she generously gives a few cut files and one of them is a cluster hexagon file. I created two layouts using that cut file. The first I used to actually cut the photos. 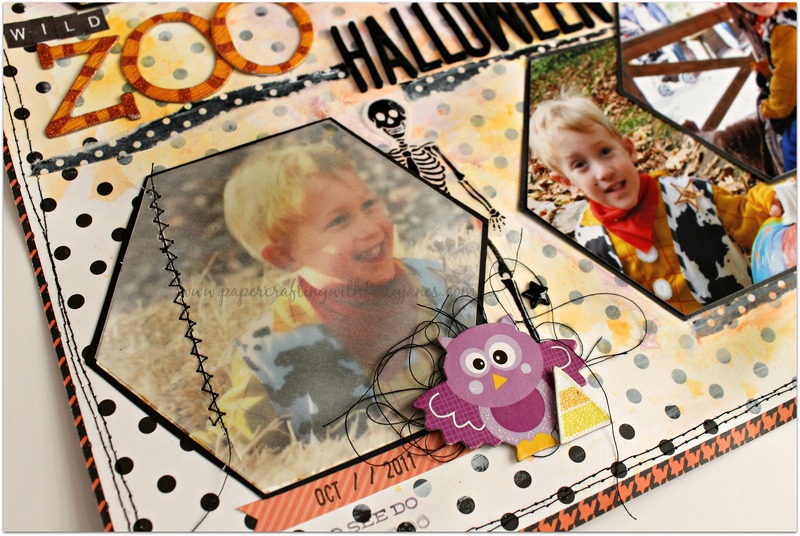 I used the retired CTMH Spellbound Paper Packet and added white gesso to the polka dot patterned paper. Then using a combo of Watercolor Pencils and gelatos I created the mixed media background. There is a lot of depth to the coloring and the photo of the layout just don’t give it justice. 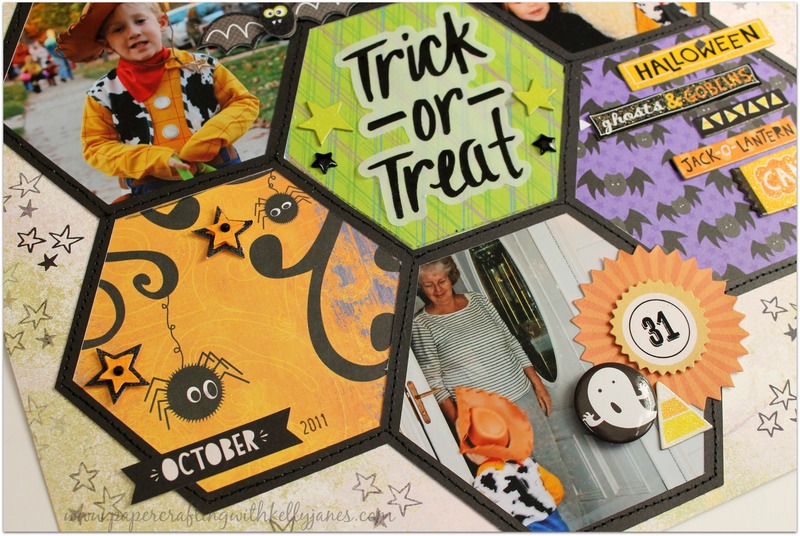 I matted the hexagon photos with black cardstock and then started creating clusters. 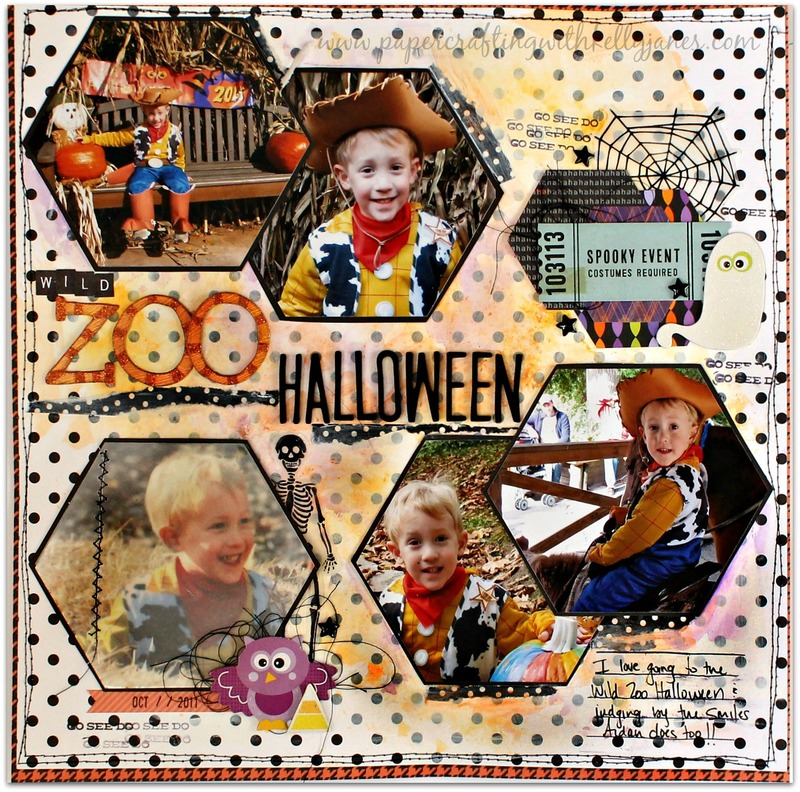 The top right is a cluster of smaller hexagons, Crate Paper- After Dark Collection, a K&Company ghost, a few CTMH Black Enamel Stars and a grouping of thread. The “Go, See, Do” is from a roller stamp I have in my stash. The bottom left corner is again filled with the same products. 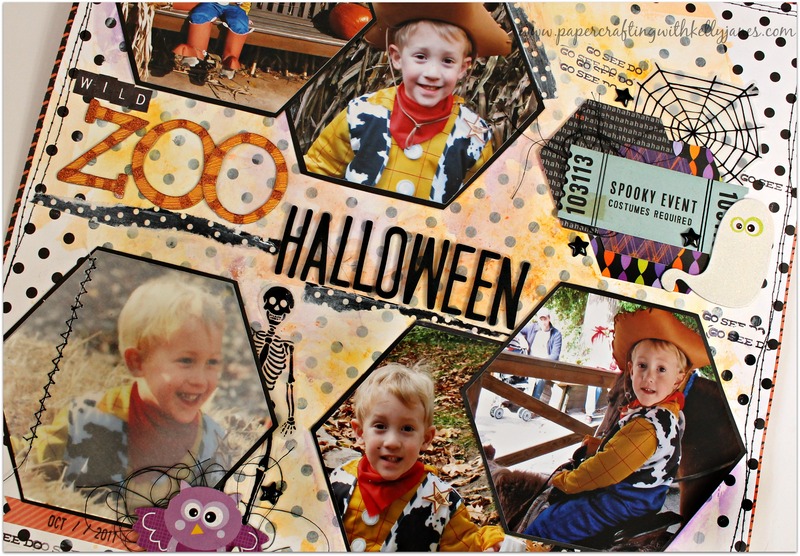 That photo is covered with a layer of vellum…the reason…the photo of my son running through the straw maze was really dark, so I edited it to be bright and beautiful BUT it was so bright and beautiful that is overpowered the rest of the photos. So I stitched a layer of vellum over the photo to mute it and to help it match the rest of the photos. The title is a combo of Thickers, Keyboard Uppercase Stamps, & orange K&Company chipboard letters I’ve had in my stash for YEARS! I grounded a few of the photos and the title using polka dot washi tape from my stash. I added a little journaling, my date stamp, and the layout is complete. 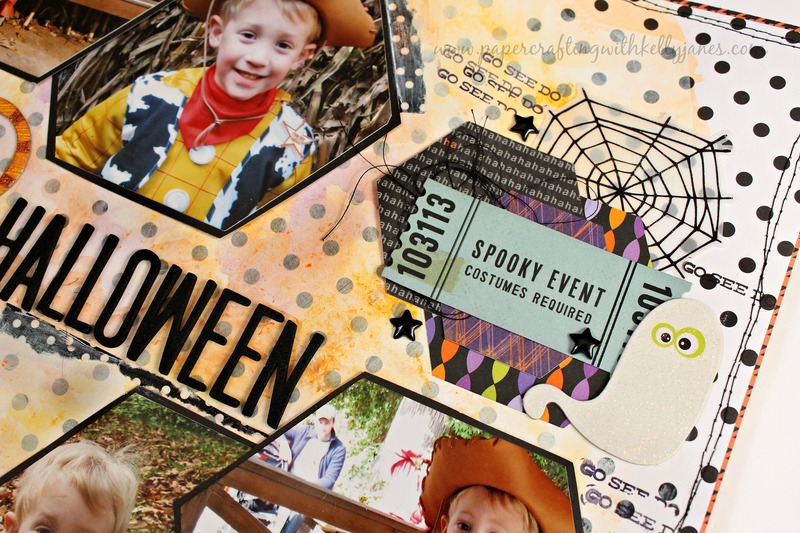 I created a second layout using the same cut file from BPC and here is a sneak peek! Please note: as a CTMH Independent Consultant I receive a small compensation if you purchase from the CTMH links above. I am in no way affiliated with Big Picture Classes. It is just a service that I use and enjoy.